Today happens to be the Ruby Anniversary of my parents. Had Dad been here, we’d be having a celebration. Well, Mum and I still did, in a way. 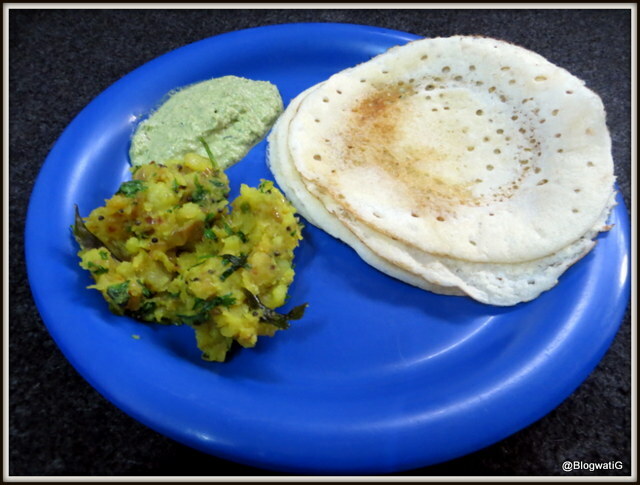 And I began my day with one of dad’s fav dishes – Dosa. Every Thursday, the humble Dosa would be our breakfast. Dad observed the day in honour of Vayuputra Hanuman and ate vegetarian fare. So, Mom made it more like a ritual for us too. And Dosa for breakfast today seemed apt, in a way. Happy Anniversary Mom and Dad, even though heaven and earth separates, the love binds. Bless you! You know even in my in-laws place, Thursday is no non-veg and egg day. They believe in Sai baba and were delighted that G was born on a Thursday too, on rakhi :). Thank you. And I think, such little things make for wonderful memories.